Whoever said long distance was easy clearly fractured their skull during their childhood. Boy, is it something! In the three years that I’ve been married, I’ve had my fair share of long distance – ranging from seven months to a few weeks – to the point that I’ve lived away from my husband more than I’ve lived with him! So by now, you could say I consider myself quite the pro. For those navigating through long distance right now or those who anticipate that they will experience it at some point soon, here are 8 tips and advice that I’ve put together. It can be crazy tough in the beginning. The first days are always the hardest, so be prepared. It’s pretty normal to cry buckets and want to spend all day in bed the first few days as it may feel completely unbearable at first. Especially, if you’ve lived together before and gotten really used to spending every moment of every day together. Some days you may just feel incredibly emotional and really frustrated with the situation. 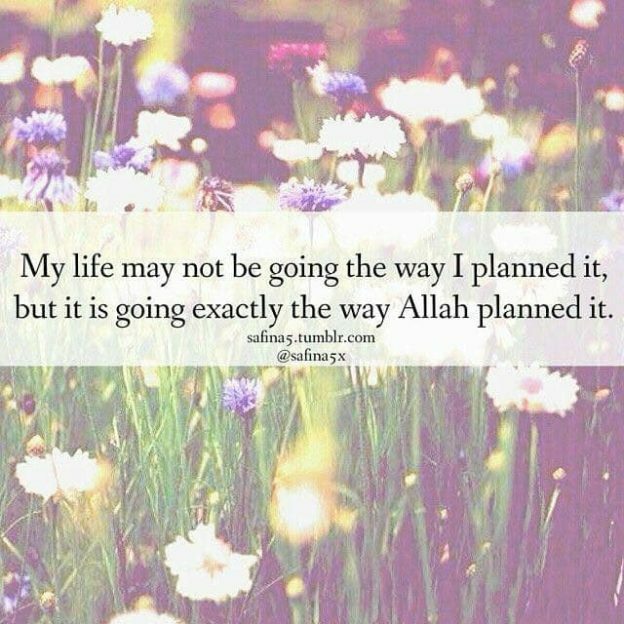 Remember – there is Hikmah (wisdom) in everything and Allah truly is the Best of Planners. He knows what is best for us and His timing is perfect. Although we may not see the wisdom at first, often with time we uncover the beauty behind Allah’s intricate planning and the wisdom behind our tests. 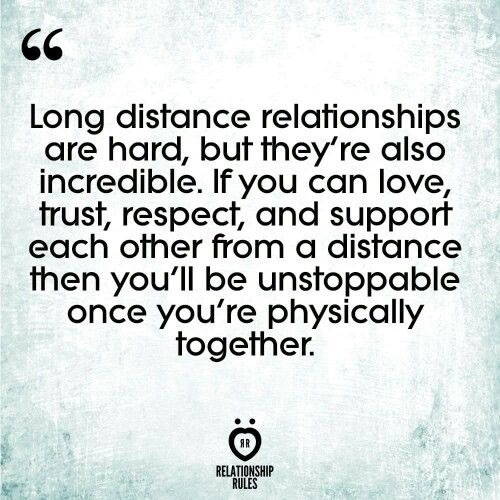 And yes, long distance is a test. Even Prophet Ibrahim and his wife Haajar were tested with separation over long periods of time, but they trusted Allah’s plan and were content with His decree. It’ll take time to adjust but you’ll get there. The days won’t seem as long as before. You’ll find yourself getting into a routine with the phone/video calls. You’ll feel a sense of accomplishment too, when you look back at all the weeks and months that have passed by and realise that you were able to do it after all! So take it one day at a time, and keep on pushing through. And before you know it, your reunion will be right around the corner. What I mean by this is that don’t expect it to be a piece of cake. You’re going to have to learn to adjust to a whole lot of things; differences in timezones, lack of communication during the super busy days, lack of physical comfort (sometimes a hug makes everything better! ), the need to make time for each other (you might get busy too! ), and all sorts. You may have to go outside your comfort zone sometimes – stay up really late at night or wake up super early in the morning just to talk, sacrifice fun moments with your family/friends so you can make time for a call, make an attempt to look good for one another even though you’re not in the mood etc. So be prepared to put in that extra effort but also know that it will definitely pay off. 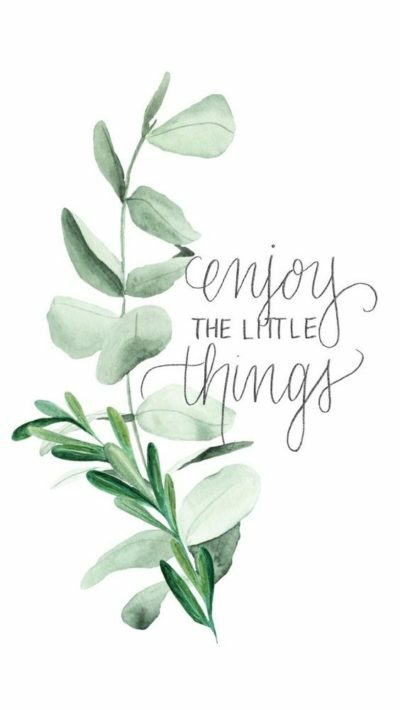 All the little things add up and slowly but surely solidify and strengthen your relationship with each other. I cannot stress on this enough. The truth is, men and women have very different expectations and needs. Women often like to share details about their day-to-day activities, expect to be listened to and shown attention to and sometimes want men to open up and share their lives too. Whilst men often think with a more practical and logical mindset and don’t always feel like breaking down their days down to the small details. Add long distance to that and it can get a bit tricky! Let’s just say, the struggle is real. It’s quite common to have two completely opposite personalities in a relationship together. As they say, opposites attract. Often times, one may be an extrovert and the other an introvert. In that case, let me be the first to break it to you. Your communication styles will differ considerably. The extrovert in the relationship (obviously that’s me in ours) can easily write paragraphs and passages in reply to a simple question like, ‘How are you?’ or ‘How was your day?’, whereas the introvert in the relationship will usually be perfectly content to just reply with a single word like ‘Good’ or ‘Fine’. I know, I know, it can be incredibly frustrating. And that’s exactly why I highly recommend sending ‘voice notes’ to one another on the busier days and simply video-calling on the less busy days. It’s seriously the best method of communication. As I find that messaging lacks real emotion and facial recognition and can often be the worst platform for moments of tension. Believe me. ‘The silent treatment’ is like slow poison. All it will do is damage your relationship. In general, I’m not a fan of ‘the silent treatment’ (or ‘the cold shoulder’ as some may refer to it), but I really cannot emphasise this enough when it comes to long distance relationships in particular. You’re already cut off from one another and unable to show physical comfort when you’re worried or concerned about the other person. Now imagine not being able to get through to them through messages or calls as well! How will one make things right if they’re not being given the chance to through any way or form? Conflict resolution is everything when it comes to marriage. It can make or break a marriage. So figure out the healthiest way that works for you and your spouse. And if you’re doing long distance, my advice to you is to always choose to video call during an argument. Communication is SO important for a healthy relationship. Even if you really don’t feel like it, believe me when I say it’ll be worth it. Nine times out of 10 you will have made up by the end of the call. There will be moments where you will just want to break down. And that’s fine. Take a breather. Don’t hold it all in and allow yourself a cry (I’m not much of a crier but crying can honestly be so therapeutic at times). 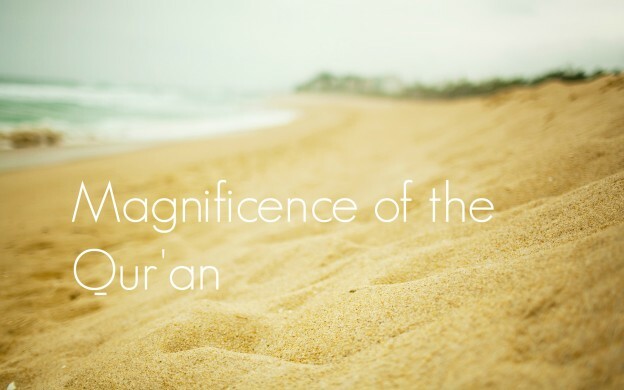 Lay your heart open to Allah and make heartfelt Du’aa during the moments you feel at your lowest. Du’aa really does wonders and you’ll be amazed at how situations can change and doors can open for you when you truly put your trust in Allah and turn to Him. And remember, this too will pass. 8. 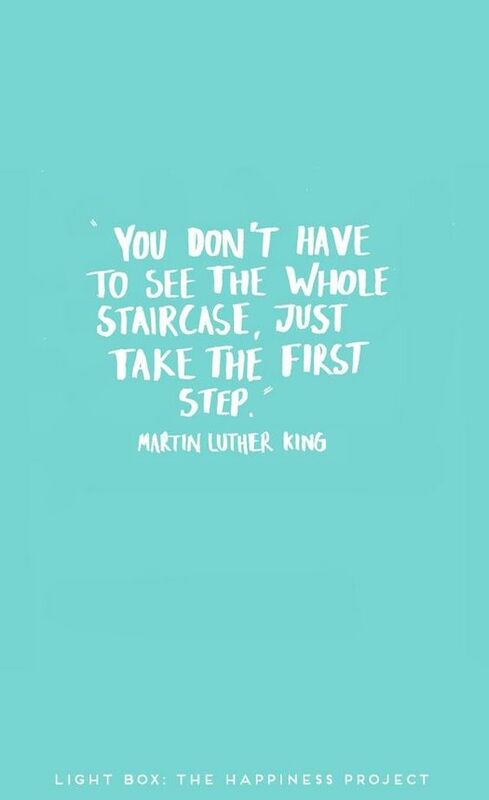 And finally, try to make the most of it! Remember that these moments, as bittersweet as they are, are simply moments in time that you will never get back again. So cherish them too! From the midnight calls that keep you up to the hilarious messages that make you laugh out loud in public and from the wonderful surprises that you are gifted with to the countdown till your sweet reunion that awaits you at the end, enjoy every moment as best as you can. Because a good long distance relationship can do wonders to your marriage and increase your appreciation and love for one another by leaps and bounds. Even after you’ve reunited. So, will it be easy? Nope. This entry was posted in Blog on April 13, 2019 by Safaa Baig. Looking back at my life, I can pinpoint so many moments where I wanted something and Allah gave me something else. I remember making so much du’aa for certain things, believing that they were exactly what I needed at the time. And yet He knew what I needed better than I did. And had He granted me what I wanted… I don’t even want to begin to imagine how different my life would be right now. There was a time I believed that having Tawakkul and putting my trust in Allah meant trusting that He would grant me what I wanted and make my dreams come true… And yet, I was wrong. When you trust in Allah fully, you are extending your belief in the unknown, replacing worry and anxiety with reliance and resolution, and essentially recognising the greatness of your Maker above and beyond everything else. You are stepping forward, not with eyes closed, but with eyes opened so wide that they are blinded by light and hope. 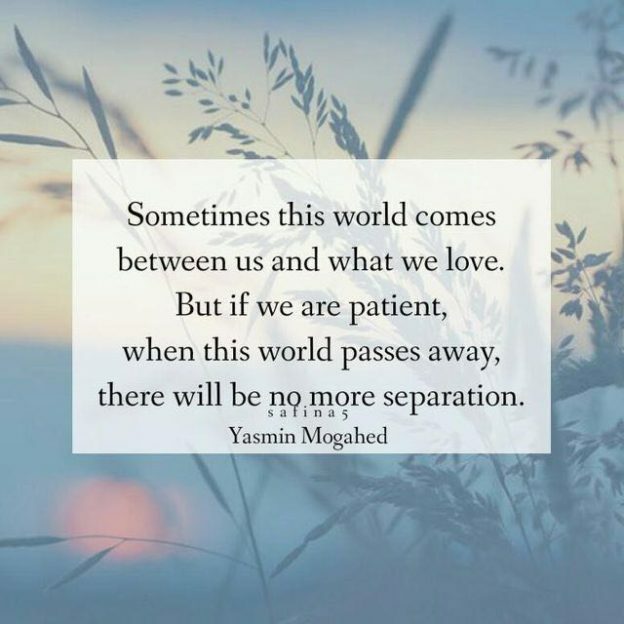 This entry was posted in Blog and tagged Allah, belief, faith, Islam, Muslims, tawakkul, trustAllah, trustgod on April 5, 2019 by Safaa Baig. They had waited 6 weeks to see each other. They had anticipated this reunion over 19 weeks of separation. She was going to surprise him with homemade cookies. He had a surprise or two awaiting her too. They were finally going to meet at a transit stop headed home. They planned to catch up over all the lost time during their 13 hour flight together. This entry was posted in Blog on May 20, 2018 by Safaa Baig. 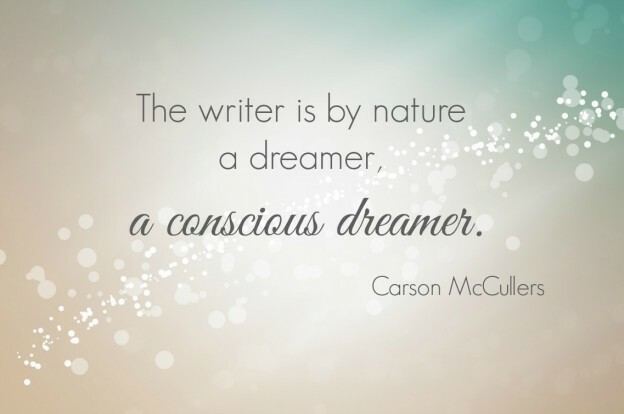 Too often, we dream about the future and we create imaginary fairytales in our mind of what our future will hold. Or we live in the past and yearn to zap ourselves back in time to our carefree, childhood days. We wish we could escape the present somehow. Because happiness is not here, it’s there. This entry was posted in Blog on April 19, 2018 by Safaa Baig. This entry was posted in Blog on October 7, 2017 by Safaa Baig. 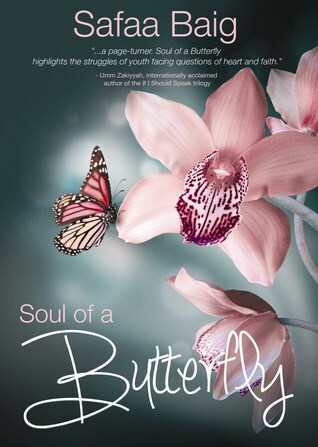 Enter for a chance to WIN a free copy of Soul of a Butterfly! Bismillah. Requesting your precious du’aas as always! 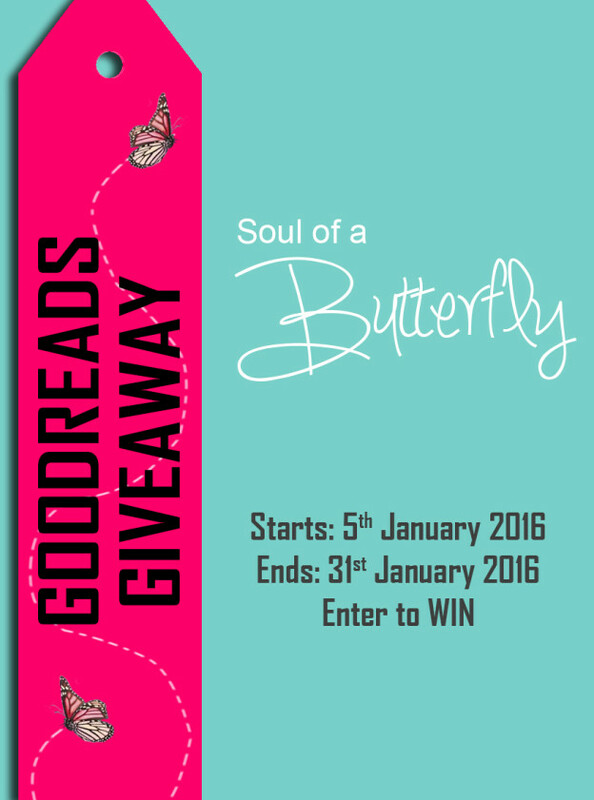 Head on over to Goodreads now and enter the giveaway! It’s as simple as the click of a button. This entry was posted in Blog on January 7, 2016 by Safaa Baig. This entry was posted in Blog on December 28, 2015 by Safaa Baig. What if, you could have any superhero power in the world? What would you choose? Okay, just hold on; just give me a moment to think. I really need to digest this all. I mean, you have no idea how mega this is. This is super mega. Sorry what? What was that you just said? What if, you already have a superpower? Ask my friends and they’ll tell you I’m a storyteller by nature. Every once in a while, I meet someone amazing and the same thought pops into my head each and every time. It doesn’t always happen like that though. Sometimes I’m hit by a good old classic plot. [And imaginary voices begin to fill my head]. I can still vividly remember the first time I was hit by one. It was wondrous and uplifting and filled me with a bubbly fizz of excitement [sort of like when you’re about to scare the life out of someone]. I imagined all the scenarios play out in my head, like it was happening in real life. I felt the strong, emotive feelings of the characters as if they were a part of me, as if I had known them for a lifetime. I laughed with them, I cried with them [It’s really not as creepy as it sounds]. I saw them crack jokes and tease one another, always able to put a secret smile on my face [not ideal when you’re in a public gathering]; a smirk all too knowing of the workings of their relationships. I felt dizzy with excitement. These people, these ‘characters’ lived in my mind constantly. [Okay, so maybe that’s a bit of an exaggeration]. But as the plot thickened and as thoughts flooded my mind, I knew I had to share these stories. How amazing it would be to step into the life of another, on the other end of the planet, and experience their emotions, their circumstance and their perspective. I believe books are life-changing. I believe books have the power to stimulate minds and touch hearts, to introduce new perceptions and ways of thinking, to challenge preconceived notions and ideals, and sometimes, every once in a while, to utterly and completely change one’s outlook on life. This is what I want to achieve. I write because I want to make a change. I want to inspire a monumental difference in the world. I want to touch the hearts of those whom I may or may never meet. I want to share the phenomenal stories of those heroes who have touched my heart. I want to give hope to those who are lost. And above all else, I want to share Islam with people of every age range, of every belief system and in every sphere of life. This entry was posted in Blog on October 12, 2015 by Safaa Baig. Share book reviews and ratings with Safaa, and even join a book club on Goodreads. for writing tips and book announcements. Get the latest news, updates and more straight to your inbox!